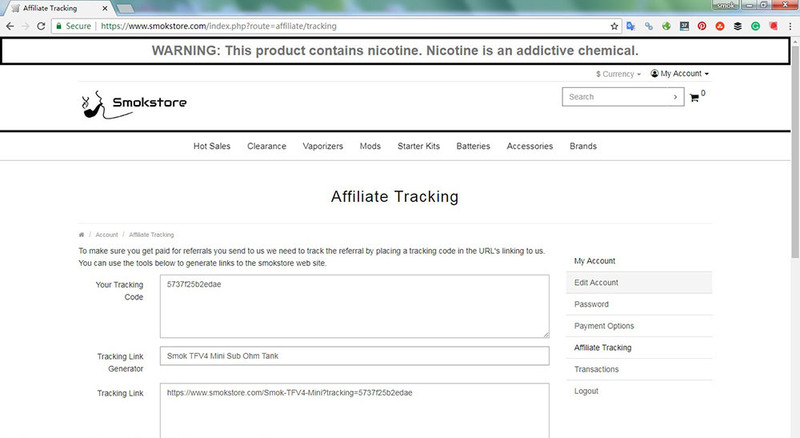 Welcome to join smokstore affiliate program, our referral rate is 10%.easily track your referrals and make money. we only support finish the payment via PayPal, can get the payment anytime, only throw us an email. 1.Average of our order around $10 to $200, the big order you will earn more. 2. We always list the famous brand and hot sale vape gears at a competitive price. 3. The commission will be sent to you anytime only send us an email. 4.the 10% high commission rate. 1. 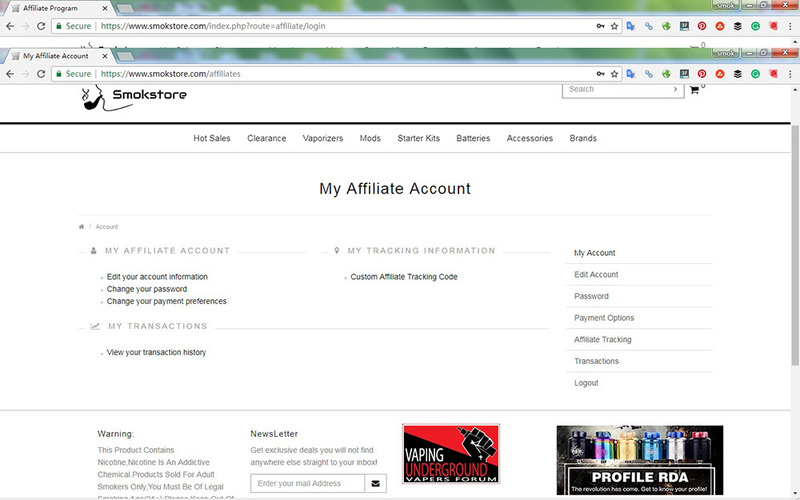 How To Join Us Affiliate? 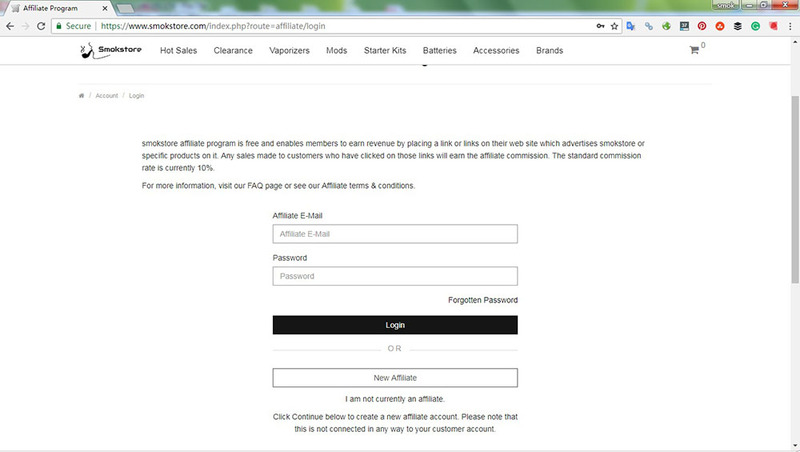 1.click here to register an affiliate member of smokstore. "product link" + "?tracking=" + "your tracking code"
if you have question about the affiliate link,please contact us anytime.